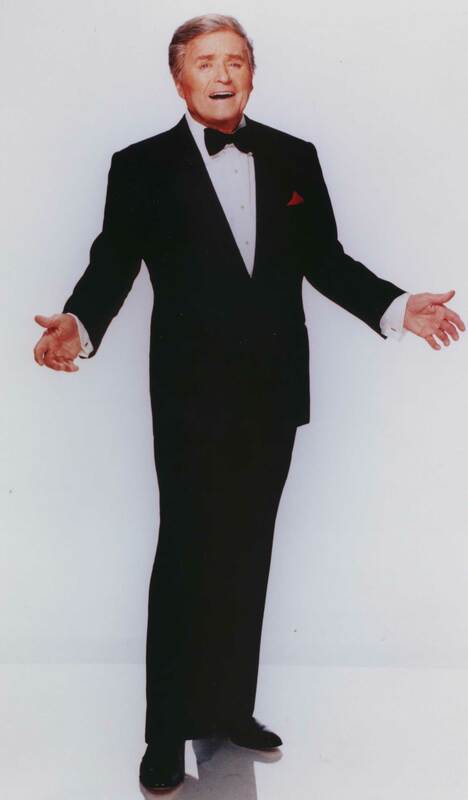 Born August 11, 1925 in Chicago Michael Dowd Jr. was destined to become one of America's favorite talk show hosts, singers and entertainers. He started out at age 15 singing on a Cruise ship for $35.00 a week plus room and board. In those days that was a lot of money - and the room and board was practically priceless. The ship sailed between Cleveland, Buffalo and the Grand Hotel in Michigan. He learned his trade by watching others who had made it. He learned to impersonate the style of people like Morton Downey (Carolina Moon). Frankie Lane (That's My Desire). Nat King Cole, Tony Martin and others. Some of the people he impersonated later were guests on his show. He served in the U.S. Navy during WWII where he sang such favorites as "When Irish Eyes Are Smiling" at the Hollywood Canteen. When he left the Navy in 1945 he joined Kay Kayser's Kollege of Musical Knowledge as a featured singer. 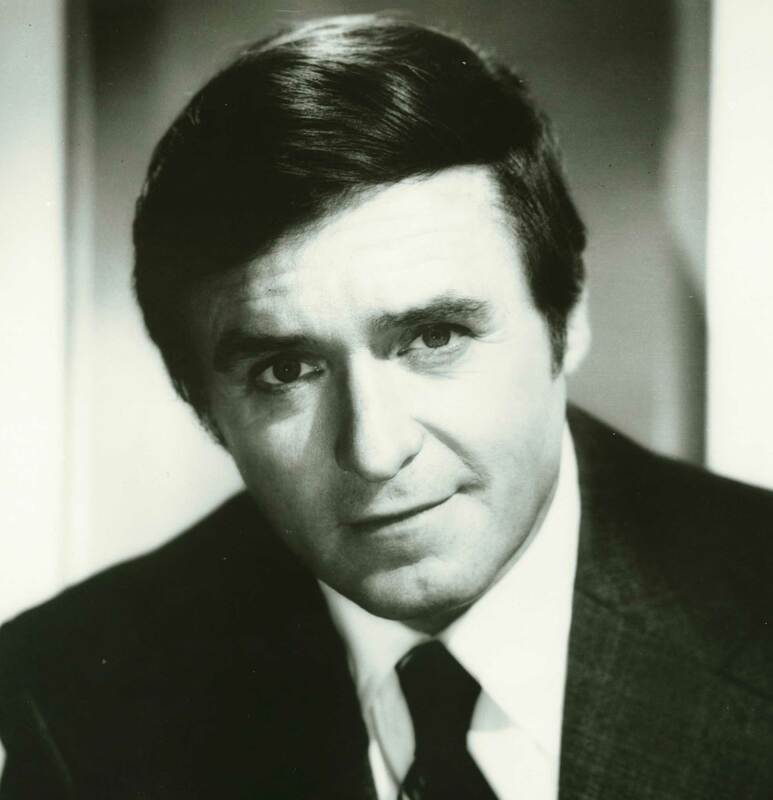 It was Kay Kayser who changed his name to Mike Douglas - no fanfare, no discussion. He just introduced him as Mike Douglas and that has been his name ever since. While living in a small G.I. house in Burbank, (which he purchased with a GI mortgage at $54.00 a month!) he was approached with an offer to do the voice of Prince Charming in Walt Disney's Cinderella at the unbelievable price of $100.00 per day. He had the wonderful opportunity of meeting Walt Disney himself and work for 9 days at this fabulous rate. He took his $900 and made multiple house payments. He is married to Genevieve Purell. They met in Oklahoma when a co-worker took him home for Christmas Dinner. Genevieve was 17 years old and it was love at first site for both of them. Mike remembers the most important conversation of his life as if it was yesterday. "When this war is over, will you marry me?" "Yes, Michael I will." And they were married in 1944 - that's 59 years ago! They have three children - a set of identical twin daughters (Michelle and Christine) and another daughter, Kelly, born 13 years later. His girls are now mothers and grandmothers themselves, but they are and always will be "Daddy's Little Girls" to Mike. He is the proud grandpa to five and great-grandfather of nine. His family devotion is unwielding - even with the exciting show business life he led there was never a time that anything came before his wife and children, and he cherishes them to this day. He became a staff singer for NBC in Chicago and started mixing comedy into his show. It was while he was working in Los Angeles that fate entered the picture and he received urgent word from Woody Frasier (who later became program developer for Westinghouse) "Come to Cleveland - we need you here". Mike had had lots of television and nightclub experience. He was 36 years old. When he went in to do the audition he remembers feeling like he had been doing this show for years. He was given the job immediately and after they sent a contract by Western Union he came to Cleveland. He and his family moved to The Marine Towers in Lakewood. It was the same building as then-Browns owner Art Model. Mike was (and is) a huge football fan, and he still loves the Browns! Jim Brown was playing at this time and Mike went to every game he could. It was December 11, 1961 and The Mike Douglas Show was making it's debut right here in Cleveland, Ohio. It's hard to believe that he was only in Cleveland for 4 years. In 1965 the show moved to Philadelphia. "I want everyone to know I had nothing to do with that move. It was part of a deal made nine years prior. I loved Cleveland. I still love Cleveland". He comes back to Cleveland a couple times a year and considers it "a special place for us". Mike could talk to anyone on any subject and make them feel comfortable and at ease. His particular show format was to have a celebrity co-host for an entire week. Let's take a look at just a few of the thousands of guests and co-hosts Mike had on his show. He had Barbra Streisand co-host for an entire week for $1000.00 or as he says "less than she gets for an eighth note now"! He also had to convince the owner of the Chateau, a small club in Lakewood, that she was a draw and it was worth his while to have her sing there. The Lakewood owner finally agreed, as long as Barbra promised to mention The Chateau every day on the air with Mike. "To this day I get goose bumps when I think about it - she was that exciting!" And the 5 taped from her weeklong appearance? Well they were all erased to make editorial tapes. Since he was only 2 at the time of his appearance, Tiger Woods was not a co-host, but a guest. 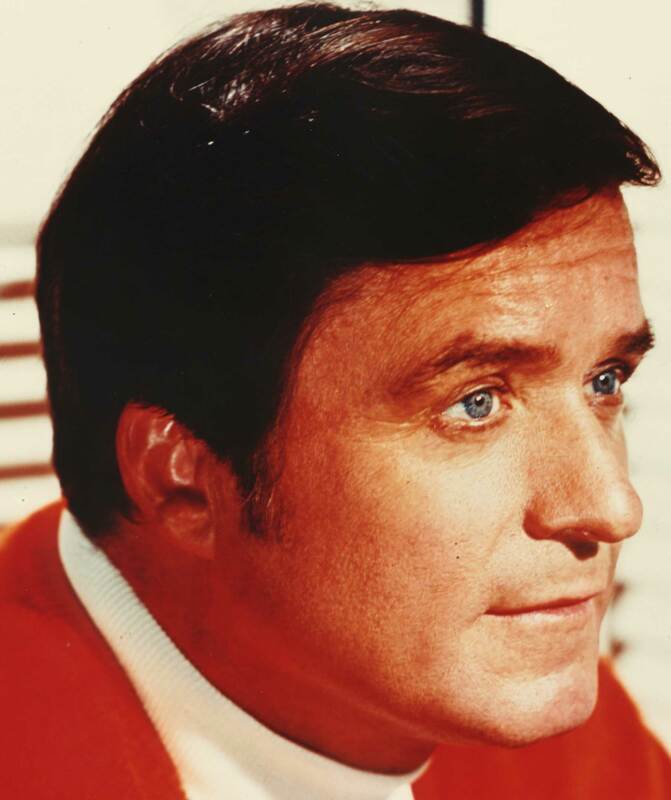 Mike Douglas, an avid golfer himself, was the first to recognize the talent of Tiger Woods. On the same show were Bob Hope and Jimmy Stewart and they shared a joke over a "putting contest." When Tiger turned 16, Mike was hosting the LA Open and Tiger went out of his way to greet him. Mike found him to be very respectful, poised and articulate and even called him "Sir". John Lennon actually placed the call to Mike Douglas wanting to be on the show. But because of time constraints, Mike agreed to allow the taping to take place over 5 weeks, instead of five days in a row. Mike remembers that John Lennon was in absolute awe of Chuck Berry and became almost humble. Together they sang "Memphis" and "Johnny B. Goode". There had been rumors that the "drug-days" were long over, but Mike thought that declaration was not quite accurate at the time of their appearance. In fact John thought it would be fun to blow marijuana smoke in the face of a monkey. The monkey in turn created havoc with the band and the set. Yet, Mike Douglas and John Lennon clicked together and somehow "bonded" during this time. It was the day that John was scheduled to tape his re-appearance on Mike's show that John Lennon was killed. In Mike's words " A great artist and a truly good person was lost that day". At the request of John and Yoko, Jerry was a guest during their week as co-hosts. As Rubin spouted anti-everything slogans and made pro-drug announcements, Mike lost his cool for one of the very few times in the show's history. What followed could have been really bad had it not been for John Lennon who stepped in and calmed things down. The very first television show Aretha Franklin ever appeared on was The Mike Douglas Show. She came out and sang "Respect" and Mike claims the building shook with her energy and style. 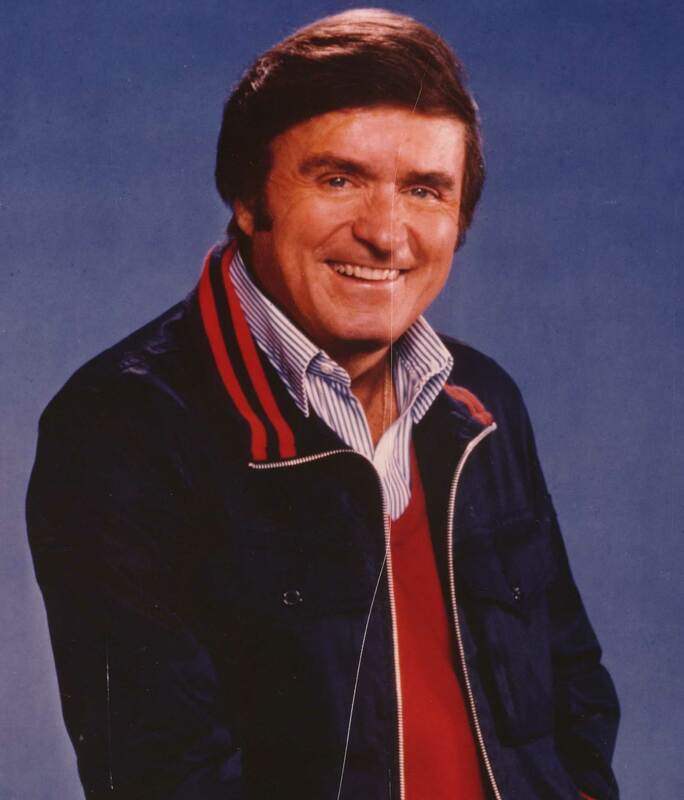 In the introduction to his book, Rosie wrote, "School just marked time between Mike Douglas shows". He was a role model to her - someone she later patterned her own show after. Years later Mike was the first guest on The Rosie O'Donnell Show. She, like Mike, was always a fan of the people she interviewed and this case was no exception. She has been quoted as saying " Mike makes his guests appear to be friends of his, and you know what, they are!" It's hard to imagine a time when nobody knew Billy Crystal, Michael Keaton or Ben Vereen, but that was exactly the situation when Mike had them on his show. They were what were known as "Bumper Acts" or fill-ins, if someone couldn't make it or there was a last minute guest change. Billy Crystal was actually a guest host for an entire week at a time when nobody knew his name and still remembers Mike's help to this day. "So few remember what you did for them; the breaks you gave them. But Bill Crystal always remembers and I really appreciate that". Dorothy first went to see the Mike Douglas Show as an audience member. She went backstage and told him how much she enjoyed meeting him and complemented him on his show. Mike's show was in competition with Dorothy and Bill Gordon who were doing "The One O'clock Club" at the time. This is such a small portion of the huge lists of stars he interviewed, sang with, cooked with, danced with and became friends with. With a 5 handicap he has golfed with Arnold Palmer, Jack Nicklaus, Lee Trevino and Sam Snead and really all of the best. He has interviewed people in every walk of life from politics to religion to sports to movies to television to����� To this day he can't watch entertainers and singers on stage without wishing he was part of it. Mike has earned five Emmy's - four of which he gave away. The first one was for him, personally. The last four he passed on to producers and directors. His show was always live until that fateful day when Zsa Zsa Gabor tried to tell a joke to Mike and Morey Amsterdam and didn't quite get the delivery right. Morey Amsterdam fixed it up for her and she responded by calling him a S** of a B****! The censors went crazy. Mike threatened to dismiss her right on the air! The next day and every day after the show was taped. If you ask him for a job description, he will tell you he is a singer before he ever mentions being a talk show host. He usually opened his show with a song, often "On a Wonderful Day Like Today" and had a big hit with the classic recording "The Men In My Little Girl's Life". He has numerous albums out, including "You Don't Have To Be Irish" and "Dear Mike, Please Sing". Mike has a lot to be proud of, but his proudest moment was when he was able to buy his parents their first and only house. He then went on to buy one for his wife's parents and all three of his daughters. "I never want any of them to be in this world without a roof over their head". Both of his grandparents were born in Ireland, and, needless to say, both of his parents were proud Irish Americans. Mike remembers when his parents found the house they were interested in he told them to go and make the best deal they could - " but be sure and use your own name "Dowd", don't mention me". His father did just fine and they negotiated a price, until he noticed the television was on in the living room and proudly shouted, "That's my son!" This exclamation of pride cost Mike a few thousand dollars - but he was more than willing to pay for the thrill it gave his father to boast about him. His book, "I'll be Right Back - Memories of TV's Greatest Talk Show" is a must read for anyone who grew up in that time. It chronicles a life of excitement, celebrities and just plain fun! He tells stories of his times with these famous people like most people talk about their neighbor or co-worker. Thomas Kelly and Michael Heaton wrote this book with Mike and together they have created a wonderful story that we all feel is being told just to us. Now living in Palm Beach Florida, Mike and his wife are enjoying their retirement. He is certainly pleased with the life he has lead and the opportunities he has been given. But he gauges his success not by his show business accomplishments, but rather by his success as a husband and father. "My wife is my rock. She is tremendous. I would have no life without her. My wife and kids respect me. Do you know how valuable that is? That is success". Mike Douglas is a class act. He is proof that you can be a good person and a successful entertainer at the same time. He always maintained a high standard for himself, his show and his guests and his diligence paid off for him. Although he was only in Cleveland for four years Cleveland proudly claims him as our own, and he is happy about that. "The people in Cleveland are sensational. I was born in Chicago and I've never been back there. But I come back to Cleveland often." He titled his book, "I'll be right back". Cleveland wishes that were true.